The partnership between legendary American watchmakers Hamilton and legendary field/outdoors brand L.L. Bean is one that has long captured the attention of the watch world. It is arguably one of the only collaborations in this space that has ever made this much sense, and both brands play it up to real effect here. 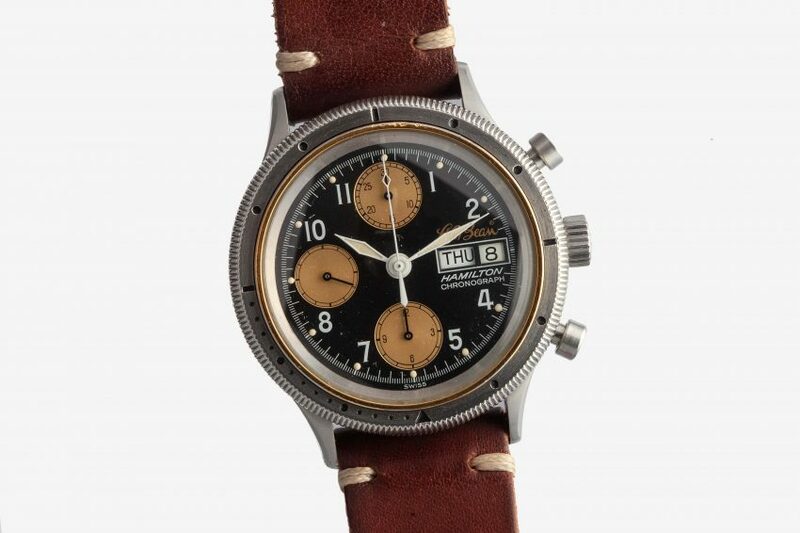 A field chronograph in design, the watch features Arabic hour markers in every position not taken up by the day/date or one of the chronograph registers, which are expertly placed to take up the entire hour location, rather than cutting off any of the numerals like many brands have been guilty of doing. The vintage, patinaed look of the subdials really helps the watch to feel like a classic tool, and the rotating timing bezel amps up the toolish nature even further. Add to that a set of stark white hands at center for maximum legibility, and what you’re left with is a watch that is as functional as it is fashionable, and all the better for it.